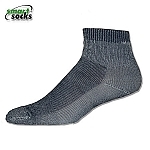 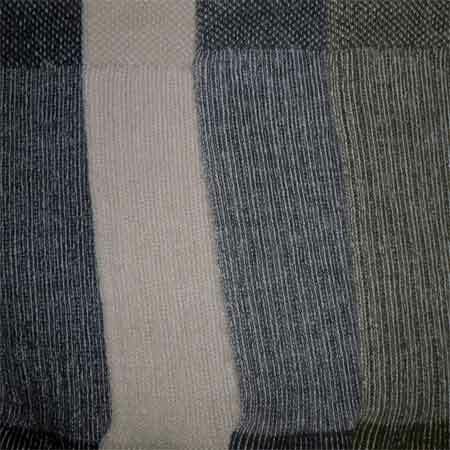 The Smart Hiking Merino Mid Weight Crew sock is one of our most popular products with hikers everywhere. 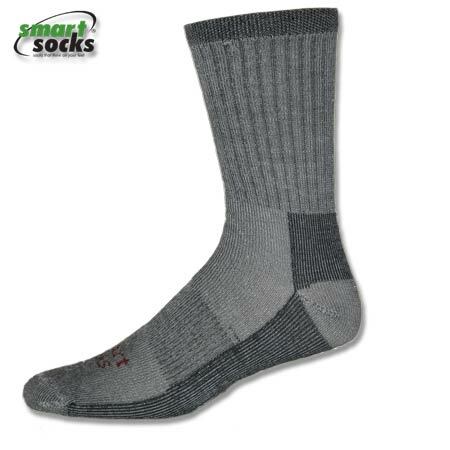 These crew socks, constructed using 75% Merino wool, are an excellent choice for someone seeking a versatile all-around sock that is warm and comfortable on the trail, yet fashionable enough to wear to the office on those chilly days. 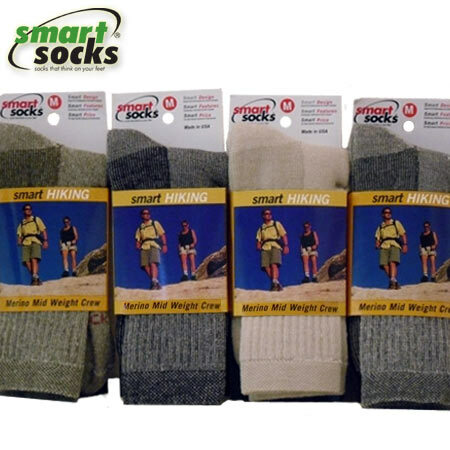 Hikers, hunters and backpackers alike will enjoy the full cushioning and arch support provided by the Merino Mid Weight Crew by Smart Socks- Socks That Think on Your Feet®. 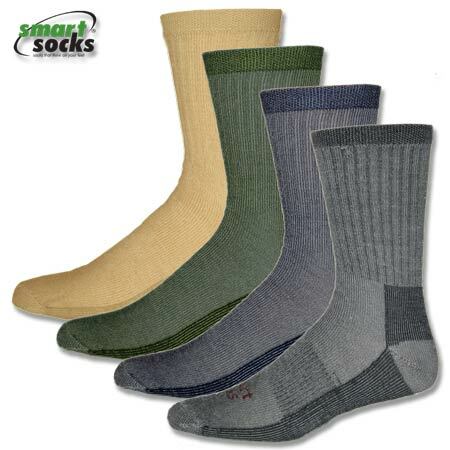 All Smart Socks -Sock that think on your feet"® products are made in the USA and guaranteed for one year from the date of purchase.